Humidity range between 5% and 95% with 3% error. It indicates temperature. Input for external probe. 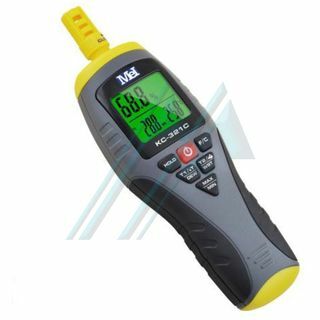 The humidity meter KC-321C is equipped with advanced sensor technology to measure environmental parameters of the facility. Measure the ambient temperature and humidity., Wet bulb temperature and dew point also could change measurement units. The device adopts a low-power design, LCD screen and data retention. This handy device is portable, easy and safe to use and quick response. The external temperature sensor is used to measure the object surface or the internal temperature. 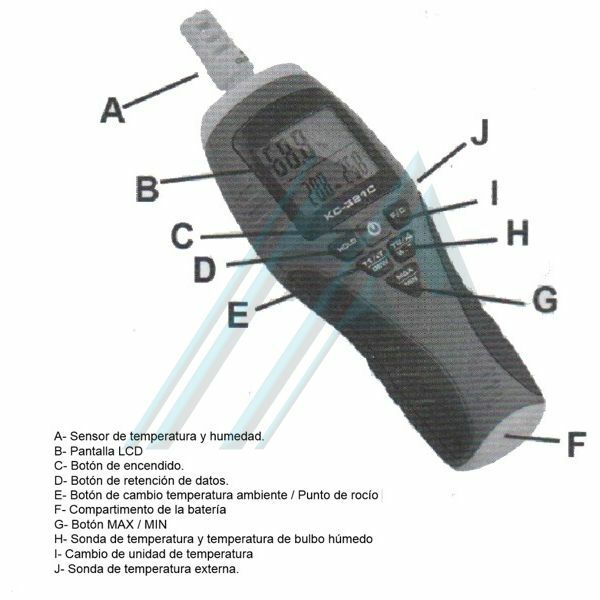 These readings can be used to calculate the dew point of the surface. This device has a wide range of applications: food storage and transport, preservation of antiquities, file management, building materials, agriculture, building inspection, repair of plumbing, heating, ventilation and cooling, etc.